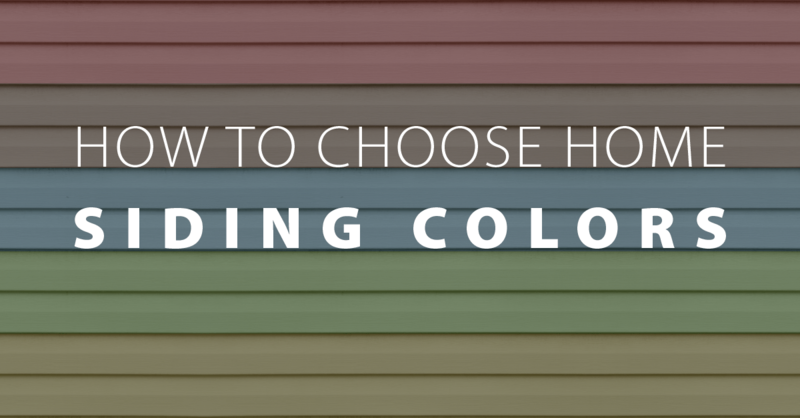 Deciding on the color and brand of siding is sort of a big deal. More so than anything else, the outside of your home is what everybody sees. There are many different siding options available for you, but you want the color and texture to meet your budget, be aesthetically pleasing, and also functional. Your own preference is what matters most in the end. Matching your roof, gutters, trim, and the other aspects of the exterior of your home should be considered when choosing the color of your siding. Connecting with your siding contractor about what color options they believe would work best with your area and your home in particular could be very beneficial. You want the color of your siding to match the rest of your home, but complementing the rest of your neighborhood with your color choice is also significant. Matching the vibe of your surroundings is ideal. If your neighbors all have neutral colored siding, then you might want to stay away from the idea of painting your home bright pink or neon colors, not that you would do that anyway. There are many companies that produce good quality siding, and each one has it’s own strengths. LP SmartSide ensures that moisture, rot, and other popular siding problems are prevented with it’s SmartGuard process including its quality lamination and protection system. James Hardie Cement Board promises exactly what the name suggests. The siding is hard and tough, it will protect against extremely high-pressured winds, cracking, rotting, and swelling. DuraTemp has the look of real cedar. Naturally, it is lightweight, strong, and very durable against all types of weather. T1-11 Wood Siding is the economical choice for Sacramento homeowners. This siding comes as sheets of plywood or strand board. One sheet of T1-11 has the appearance of many separate boards. Due to Sacramento’s climate, cement board siding is what our team prefers to use. It keeps it’s sturdy shape and has a superior color pigment that lasts longer than other styles of siding. Contact Straight Line Construction for more information and help with the process of choosing your siding color.